Explorer makes researching and identifying apps a breeze. With access to app store data, app performance, and SDKs and permissions, Explorer is the go-to resource for marketers, analysts, and sales teams. Today, we’re going even farther with the rollout out of gender demographics, giving insight into who’s using apps. When analyzing the market, be it for market research, competitive analysis, or to pinpoint interesting apps, having data about who is using the app is essential. 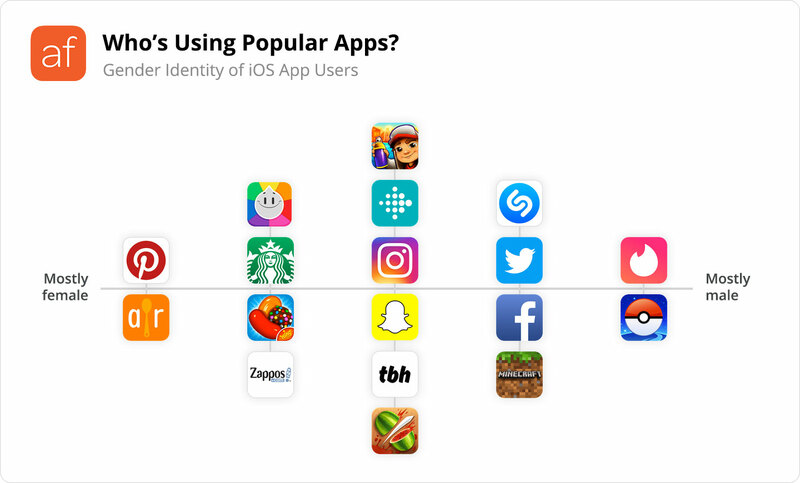 With Explorer’s new Audience dataset you can easily identify apps by the gender of their user-base, or see that for specific apps. And since it’s a built in filter, you can use it alongside any other filter to create queries that give you exactly the results you want. Under the hood, we feed public data into a proprietary machine-learning algorithm. This is a different approach than most other [providers], who need device-level data for user profiling. Our unique approach means we never collect private user data, and that we can cover a wider range of apps.